Hello! Today is the last day of March Lawn Fawn Inspiration week. Today I have some projects using the Lattice Backdrop die. 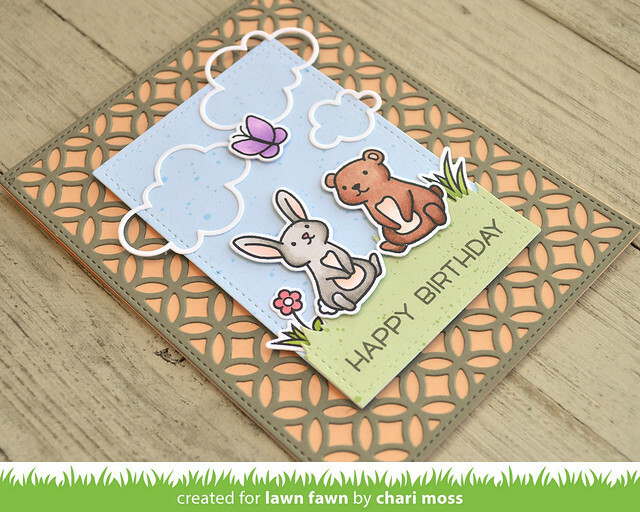 This card has the lattice backdrop cut from Narwhal cardstock layered over an Apricot card base to make a beautiful pattern card as a base for my little spring scene. I made the focal panel with a Spiffy Speckles blue sky and green grass and used the sweet little animals from Butterfly Kisses to make my little scene. My other card is a standard size A2 card folded in half. This allowed me to fold the lattic backdrop so that it wraps around the entire card. I colored a piece of vellum with copics to create a rainbow and layered that on the card base behind the black die cut lattice. I wanted to keep it simple so I added the stitched banner from fancy wavy banners with a wavy sentiment. 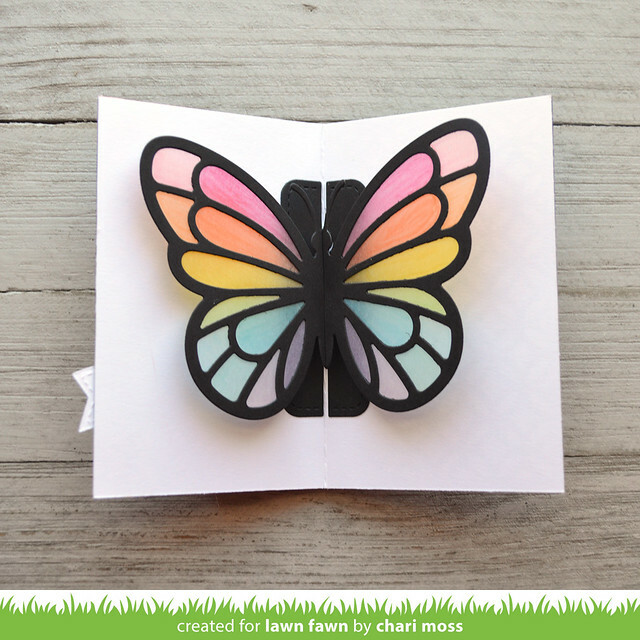 I made this card this side because I liked the proportions with the pop-up butterfly inside. Be sure to check out the Lawn Fawn blog for more Lattice Backdrop projects.